On Oct. 24, Bryn Tomaszewski and Marissa from Adirondack Arc held a bake sale on behalf of the Tri-Lakes Humane Society. Kinney Drugs graciously allowed Bryn to set up a table at their entrance, a perfect location for sales. Bryn raised over $100 to donate to the Humane Society; she loves animals and volunteers at the shelter weekly. 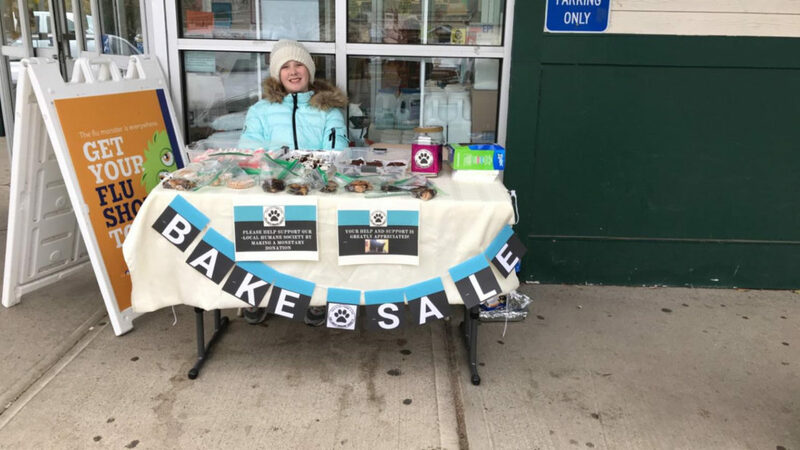 Bryn, a Saranac Lake Middle School student with autism, was fully responsible for the bake sale items, spoke with the manager at Kinney’s and engaged in high-energy sales with her customers. We are proud of our daughter’s ability to take an idea through to reality; she shines her light when working on the behalf of animals. We also wish to thank Kinney Drugs for their hospitality and community-minded practices.